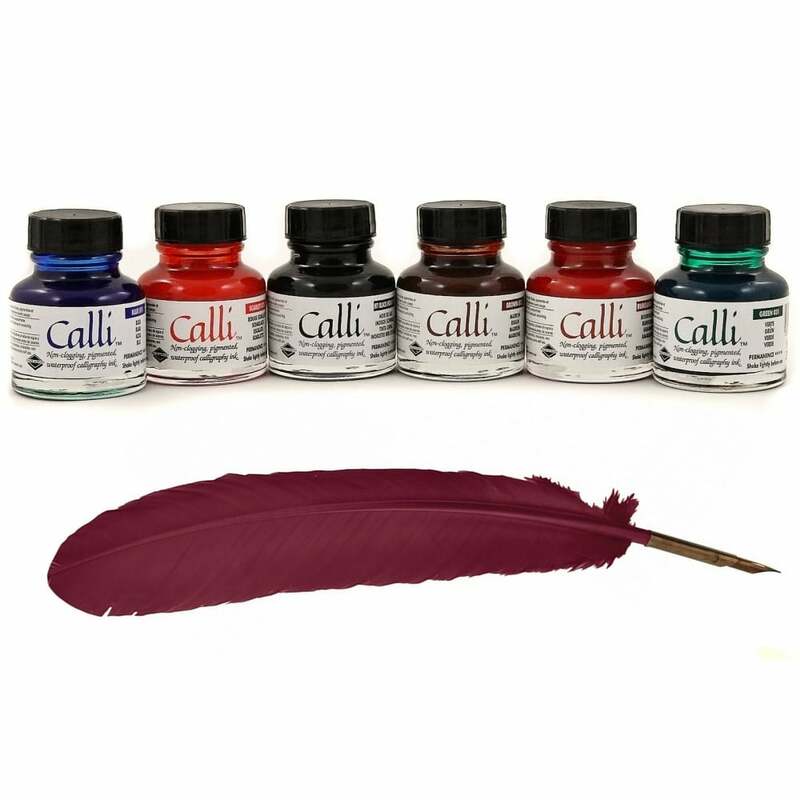 Daler-Rowney Calli Calligraphy Ink is a high performance ink, specifically designed for use in traditional calligraphy writing. This six 29.5ml bottle set contains all the main colours necessary for frequent use, all in a handy box. Colours included are; Blue 011, Brown 012, Burgundy 013, Green 031, Jet Black 010 and Scarlet 073.Create beautiful writing and decorative designs in the style of medieval scribes on invitations, cards and many of you paper crafting projects. Each Quill pen comes with a bronzed accommodation tip/nib, replaceable nibs can be added to give a different style of writing each time you use it, the stiff spine plume gives this quill pen a feel of luxury. The Quill pen makes an ideal gift, keepsake and authentic method for practicing the art of calligraphy.